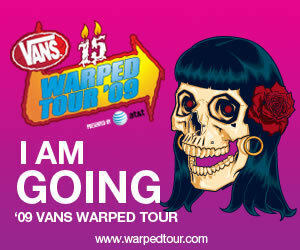 Warped Tour 2009 is the 15th installment of the annual Summer Warped Tour festival. Vans Shoes is again the tour's primary sponsor. Tour founder/organizer Kevin Lyman announced that this year's tour will feature only one main stage with bands playing 40 minutes each instead of two main stages with 30 minute sets like previous years. The 46-date tour kicks off on June 26, 2009 in Pomona, California and ends August 23, 2009 in Los Angeles, California.